Privydoll had all access media pass for this year's Macy's Passport Presents: Glamorama in Chicago last Friday. We adored Chris March on Project Runway (pictured with me below) from season 4 and he assisted in designing this year's show. He described it Glamorama this year as "fashion fantasy" and sure enough once the show started we could see his inspiration was a bit 'avartar-ish.' 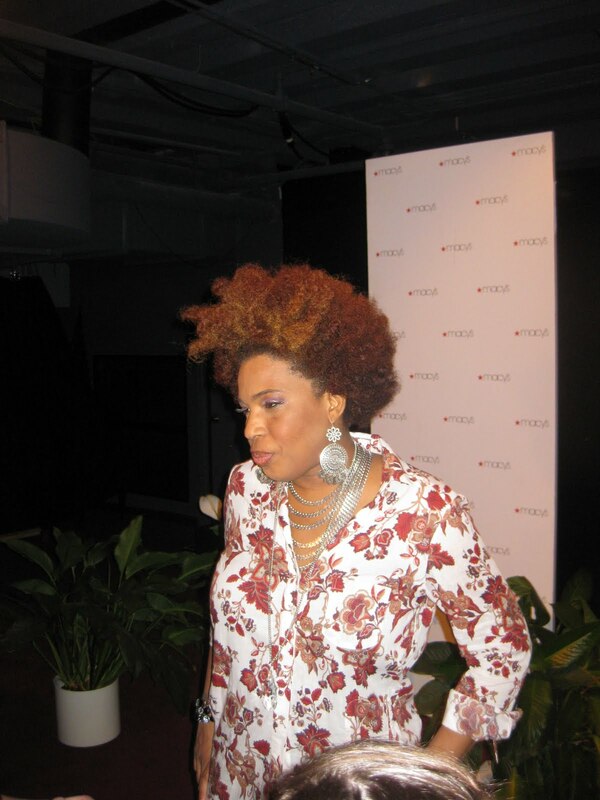 Fellow red carpet walkers were Candace Jordan, musician to preform, Eric Hutchinson and Macy Gray. Office Max sponsored a unique element this year where local designers competed to design dresses made from office supplies. We adored the dress that Raina Hein from Top Model cycle 14 wore on the red carpet. The paperclips and wires were not noticeable on the sweetheart neckline black dress.